LAPD Detective Sean Hennessey has one person he's repeatedly tried to arrest and bring to justice: his nemesis, Mitchell Yates. 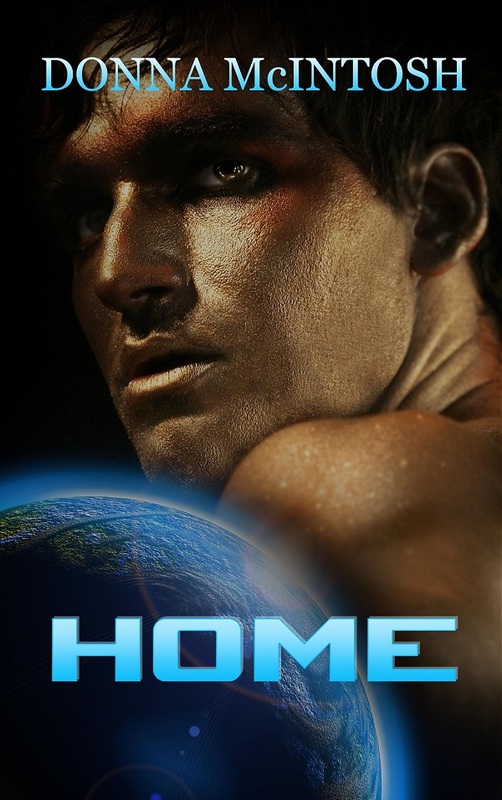 Caught in the wrong place at the wrong time, instead of arresting Yates, Sean is rescued by him and taken to Yates’ home—a satellite high above Earth. There, Sean discovers a world he thought possible only in Science Fiction.Everything he believed he knew about Yates is turned upside down, and Sean must make a decision: to remain with the LAPD or join Yates and work toward intergalactic peace. Don’t miss the March Sale! All Wayward Ink Titles titles, including pre-orders, are 35% off on the WIP website and 30% off on AllRomance, and 30% off on Amazon. On Easter Weekend, the discount goes up to 50% on the WIP website. Sean stood with a groan, confusion warring with disbelief that they could possibly be safe just because bullets had stopped flying in their direction.What the hell happened? “Come on. Let’s get that taken care of.” Yates led him down the hall into another room, apparently a medical facility of some kind, with an examination table, and cabinets against one wall. A tall, slender, gray-haired man walked through the doorway. “Yana, I was told you were back and in need of Medical,” he said as he approached. Noel looked toward Sean. “Yes, I see. Over here, please.” He motioned to the examining table and helped Hennessey remove his jacket. squares from a container in the cupboard and held them to the wounapplying pressure for some time. Sean felt warmth in the area, and the raw pain eased. He was filled with a feeling of peace and serenity. When Noel removed the gauze, the wound had closed and only a reddish pucker remained. Stunned, Sean wondered aloud, “I don’t know how you did that, but thank you.” He slipped his shirt and jacket back on. “You’re most welcome, Mr. Hennessey. The shoulder will be a little sore for a day or two, but you should be fine.” With a smile, and a brief hug for Yates, Noel left the room. DONNA McINTOSH was born in Elmira, New York, grew up in Phoenix, Arizona, married a Texan and has lived all over Texas for the last thirty-plus years. Donna has four children, ran a Day Care Center for many years and has written fan fiction since she was thirteen.